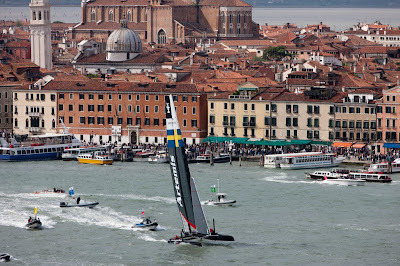 Huge crowds lined the Grand Canal in Venice this afternoon for the Arzana’s City of Venice Trophy race. With more than 25 knots of breeze it was fast and furious racing for the €50,000 in prize money. Artemis Racing sailed a solid race, with a clean start and good tactics throughout to win the top prize. Italy's Luna Rossa Pirana and Luna Rossa Swordfish finished second and third respectively. Plenty of current and tight boundaries, translated into several penalties at the start, but Artemis was unscathed. 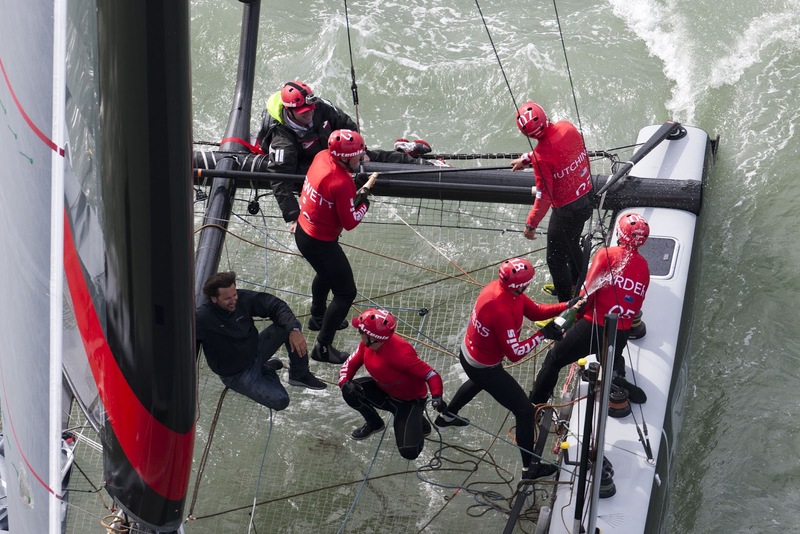 Then a glitch with the port daggerboard saw ORACLE Team USA and Emirates Team New Zealand roll Artemis, but the Swedish team hit the reset button and made a good recovery to come out on top of the leaderboard. 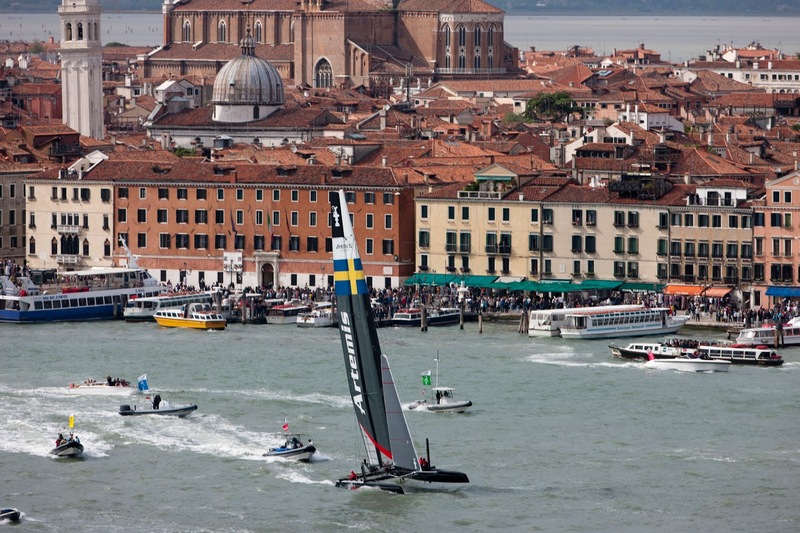 Racing starts on Thursday for the penultimate America’s Cup World Series event here in Venice. 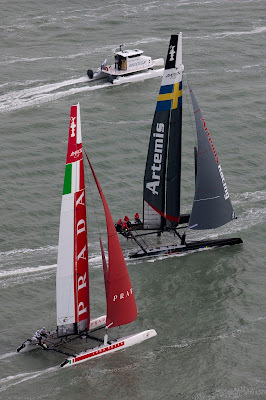 Artemis Racing currently leads the match racing element for the ACWS, while ORACLE Team USA Spithill is in combined first place overall (fleet and match racing), one point ahead of Emirates Team New Zealand and Artemis Racing lies in third.